Just showing off how some of my rims were designed for two or more colors. 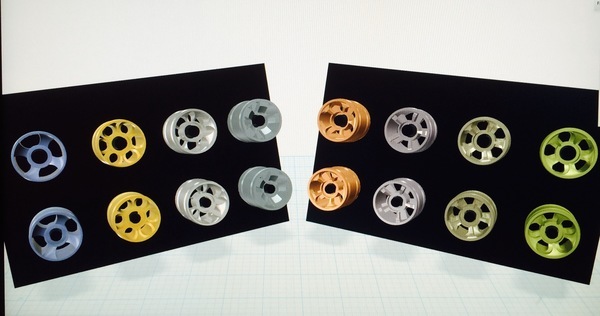 (Image is of race rim v8) The rims for my open rc f1 car will be . black in the back red in the middle and green in the front with black trim to top it off..